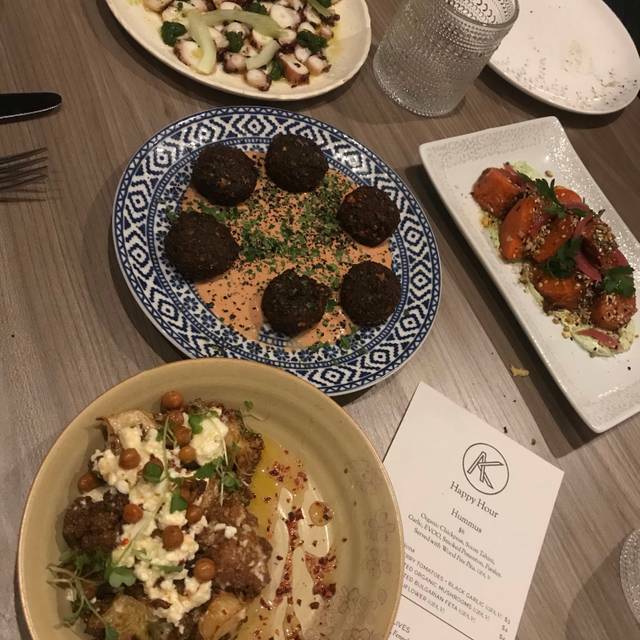 Ash’Kara will explore the continuous evolution of Israeli cuisine, with ingredients and flavors from across Europe and North Africa. Loved the food and great service! I would love to return. Thank you! Loved the unique food, the grilled octopus, dill and onion salad, and hummus were delicious! We had the muhamara spread and hummus with their pita bread! The freshly made pita served hot alongside the spreads is killer! It tasted amazing! It is by far the best I’ve ever had! For our entree, we shared with our group the Duck Tangine (serves about 3-4 people). If you love duck, this is a must try! The flavor and taste was outstanding! And the service we received from our server Karl was great! We will definitely be back again! Food was fantastic, but the service was merely eh. We loved the food and can't wait to come back to try the entrees. We were very impressed by this new restaurant. Of course we had heard great things about it. The service was amazing! Food was delicious. We tried so many small plates & we can’t wait to go back. Hummus with leaks & hummus with cauliflower were great, baba ganoush, falafel balls, Israeli salad, roasted carrots lamb kafta were delish! Pickles with beets & green tomatoes were good. Octopus was very tasty. We had both regular & gluten feee pita. So yummy! The sangria was delicious & they had a good beer selection. We didn’t get to try any desserts but they looked good. Wonderful servers and delicious food! The food was excellent and appropriately priced, with a TERRIFIC happy hour. Tried the mushroom and the leek hummus, falafel, baba ghanouj, and carrots. Everything was delicious. Very cute place as well, would like to come back in a group sometime. Highly recommended. Energetic happy hour vibe with great outdoor seating and lovely decor inside. 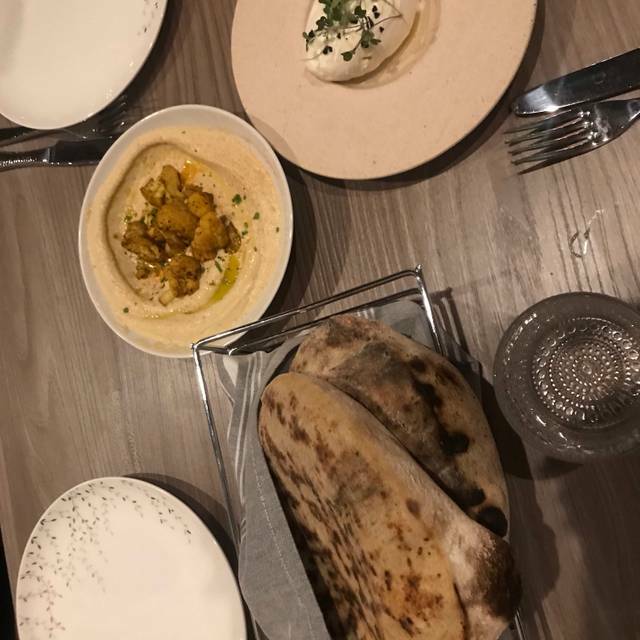 We grazed - hummus with leeks, baba ghanoush, pickles, olives, fried cauliflower and amazing fresh-baked pita to scoop it all up, with attentive, friendly people bringing us each beautifully presented dish. The duck Tagine is not to be missed. Very special place with a fun vibe and my favorite fresh food. It just feels good! Food and Service was wonderful! Loved the Vegetable Tangine, I don't even like eggplant but it was scrumptious! Interesting foods which I’ve haven’t tried before. 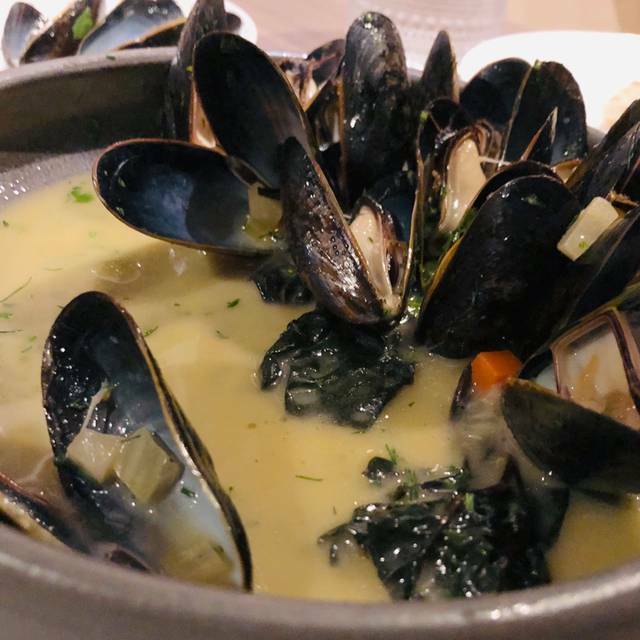 Started off with mussels in arak, Swiss chard, etc. very tasted broth. Had the lebnah which was a yogurt, lemon, ash salt dip with pita. Then had the whole fish, fed about two people. It was in a tomato based base, tasty! For dessert had the milk and honey, a pancotta deconstructed with honey crumbles. Overall a must try! Thanks! Food is great! Extra charges for pita bread was a little rough, especially for the 3rd one we didn’t order... Went on a Thursday night and the place was so loud it was hard to hold a conversation with out table of four. Delicious meal at Ash’Kara. I was pleasantly surprised by how absolutely thoughtful every dish was. It was presented in such a beautiful manner. I’d highly recommend checking this place out! Fresh Pita and great hummous! Baba Ganoush was very good although the eggplant was not charred as in most dishes of this type. The vegetable "tagine" was oversalted and had a strange mix of veggies/fruits. It wasn't even cooked in the clay tagine pot that it was presented in. I wouldn't bother ordering it again. 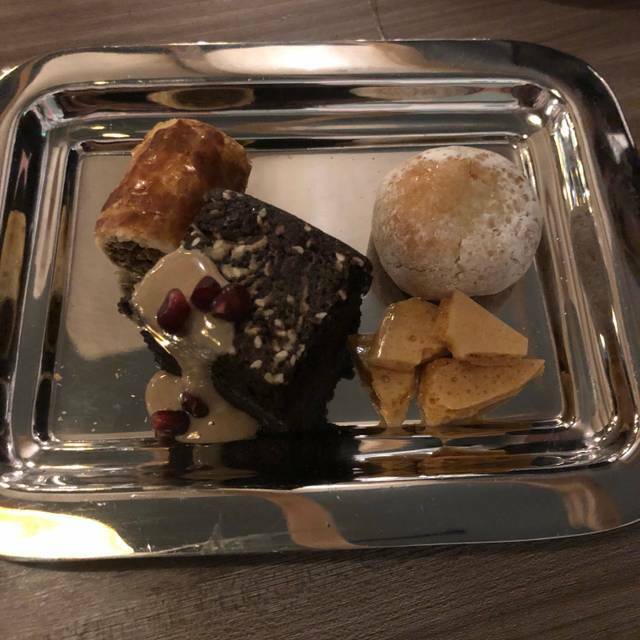 Better to stick with the small plates. Good food, great decor and ambiance, fairly authentic Israeli food. Get the carrots... amazing! Maybe I am getting old and cynical but I just do not see what was so special about this restaurant. The pita was a bit too doughy. Overpriced for the portions ( I looked at the $34 tagine at the table next to us which was when we opted to stick to small plates) and trendy drinks for way too much money. The server was very nice but my husband accidentally knocked his drink over she did not offer to replace it. 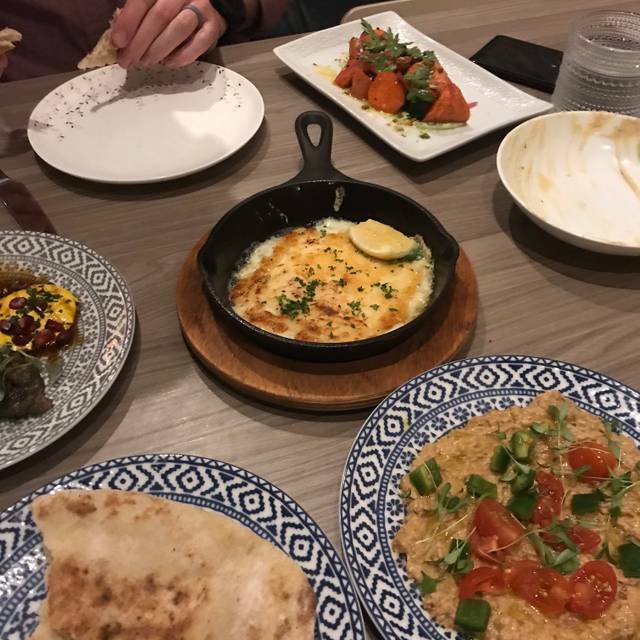 I would possibly go back to give it another try but as someone who has lived in the middle east and visited recently this is the american version of that cuisine and is it me or is anyone else tired of paying high prices for small plates at restaurants that are good at promotion and location? The food was excellent! Will definitely be back soon! We went for a birthday dinner and the food was excellent. The atmosphere was excellent as well, they had a lot of gluten free options which was important for our group. Highly recommended. By far one of my favorite restaurants in Denver- Everything was absolutely amazing! We had the best time here! Delicious food and reasonable prices which is hard to find lately. Four of us shared the hummus (with fresh wood fired pita! ), Israeli salad, lamb kofte, wood roasted carrots and duck tagine feast. Everything was so good and brought it in a timely matter. They have a great happy hour, too. Check this place out!! The people working there are wonderful. I asked for the lamb to be well done but it came back pink so I didn’t eat it. The hummus was very good. Had to scream at my friend sitting two feet from me to be heard. Not a place to catch up with a friend as it is extremely noisy. Go early when it isn’t as busy. Charging for pita bread is not appropriate. The food was good, particularly the root vegetable dish. Easily served 4. Even through restaurant was not full, had to ask for extra pita bread 3 times to different waiters. Drink order did not arrive, and had to ask waiter for it once dinner arrived. But fun atmosphere and good food. One of my favorite new places in town. Great food / vibe and (finally) an awesome wine list. Great place to try some new and different . The small plates are great for sharing, and truly amazing olives. The hummus is super awesome as well. Great service to boot. Great all around, especially for a new restaurant. Beautiful build out and friendly bar staff. Our particular waitress was rather poor and the food was honestly a little disappointing. And I love Israeli food a lot and eat it often. But their pita was truly wonderful. Perhaps they’ll work out the rest of their menu as time goes on. Excellent restaurant ! Food is delicious, perfect for sharing with a group. Falafel rivaled falafel in Israel. The gluten free pita is AMAZING!! There are tons of gluten free options and the food is delicious! The service is great! Such a fun place to eat! Overall, we enjoyed our evening at Ash’Kara. Service was very good, food was good, and noise level reasonable. 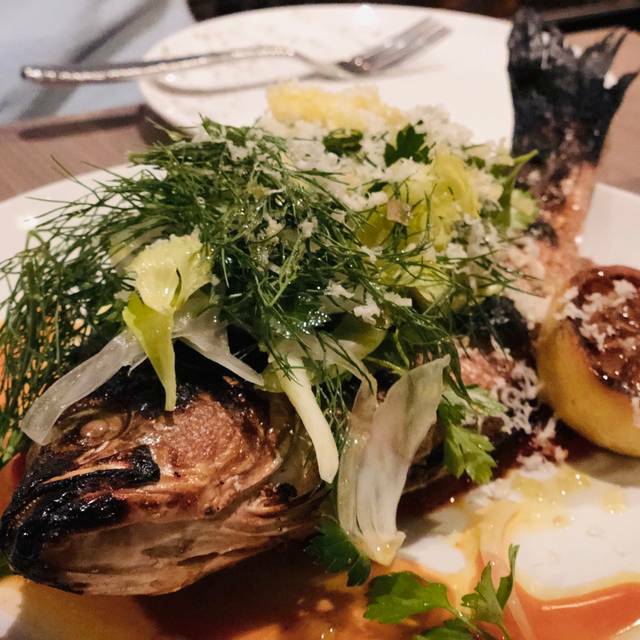 Ash’Kara is a nice addition to the Denver food scene. 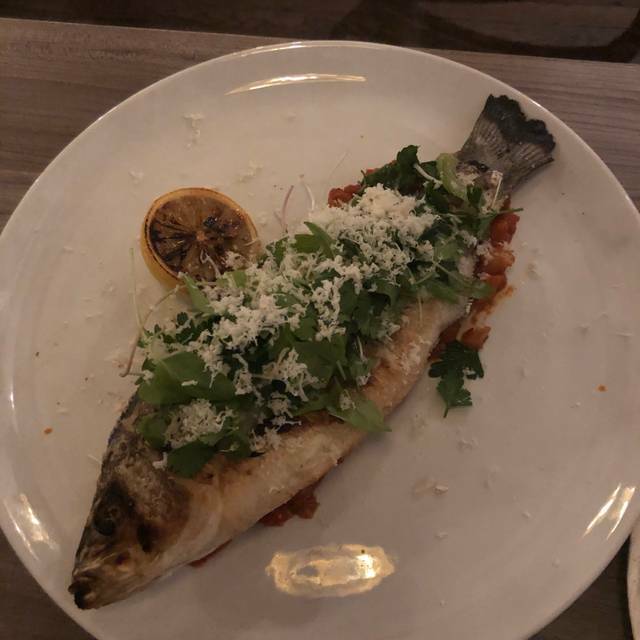 Great food and service—light but satisfying and delicious. Good and service were outstanding! Service was prompt. Food was delicious. Ambience was fun. Looking forward to my next visit.